Women have been wearing track suits in velour since they were invented by Juicy Couture. 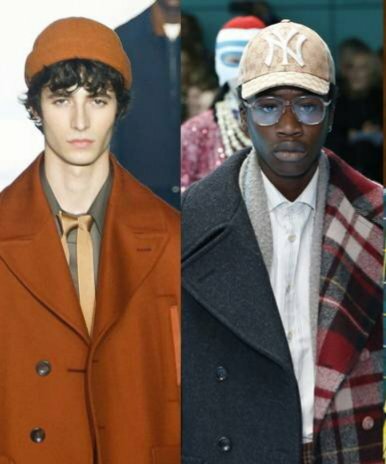 This season, men are getting thier chance to rock the look. The tracksuit is most likely the answer to the comfort wear millenial women have embraced. 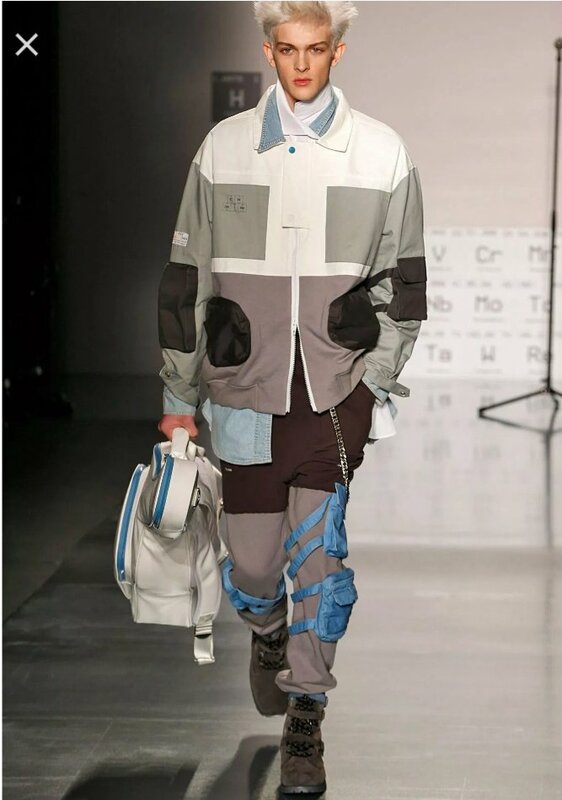 It has just started its popularity in runway fair in 2017 after evolving over the last 6 years as matching jackets with streamlined pants back in 2011. This season look for more matching styles, baggier silhouettes and monochromatic color palettes. 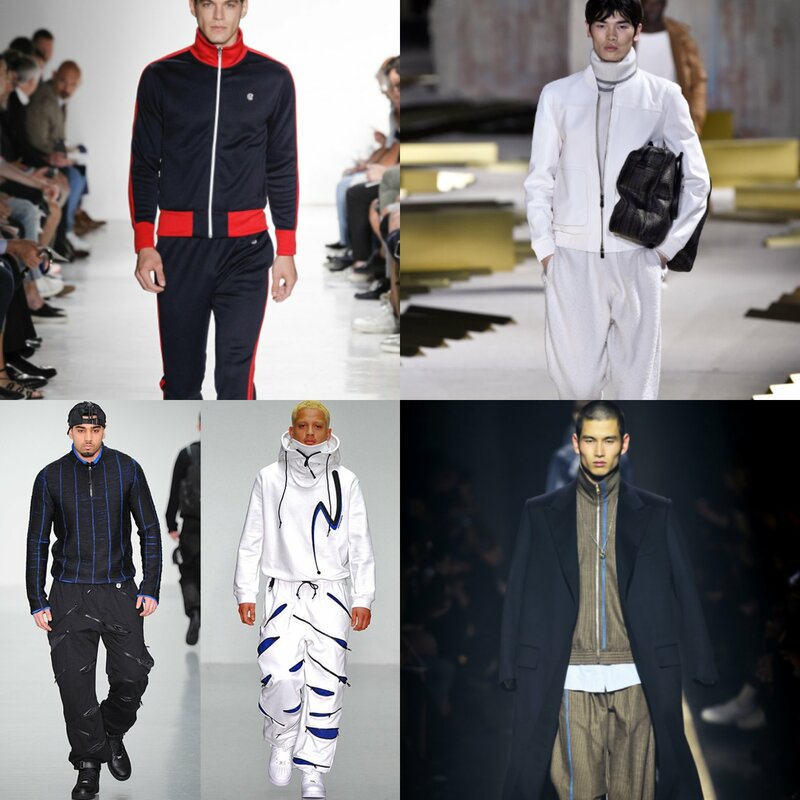 Are you rocking a tracksuit this fall? #tfgts to be featured on our Instagram page! It’s that time again when Fall is upon us and all it’s chilly, rainy glory! What better way to welcome in the new season then a cool piece of jewelry? 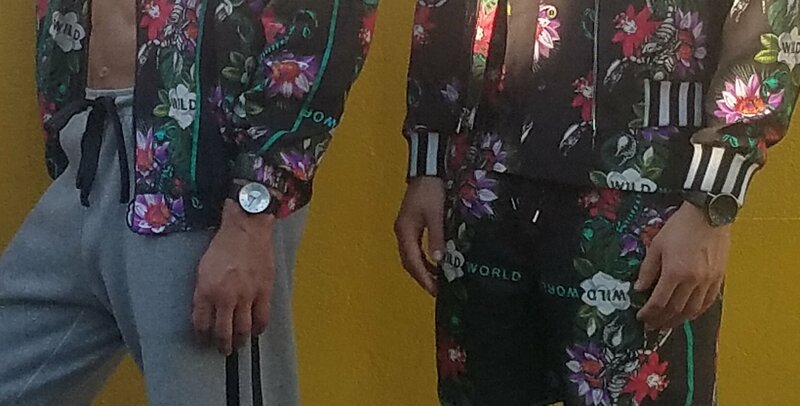 This season watches are getting bigger and more dynamic. The newest trend to hit the runways and seen gleaming on male celebrities is the two tone gold and silver watch; not only is it a sleek futuristic color combination but it also elevates anything you wear with it. I have scoured the internet to bring you cool, sleek and awesome watches that are all shockingly under $60! 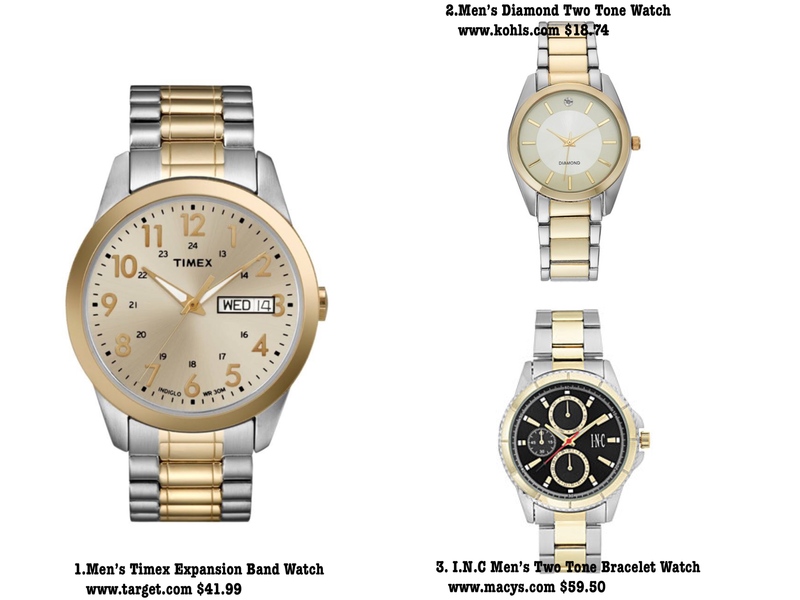 Below are my picks and please let us know in the comments if you will be wearing this trend and which watch is your fave! 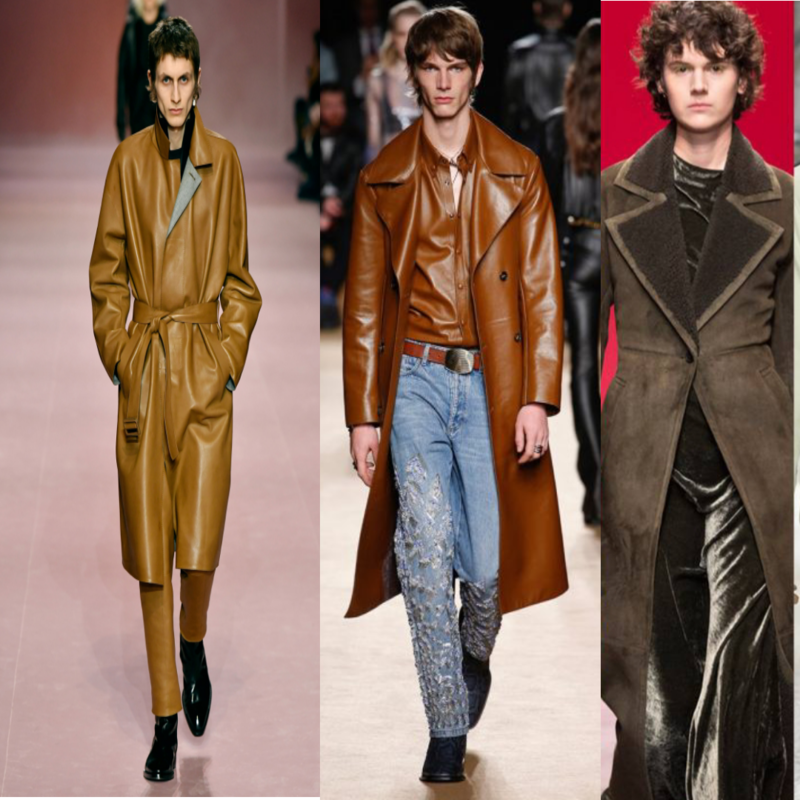 With far out trends like S+M, astronauts, rodeo and large shoulders, mens fashion has gotten just as crazy as the ladies, so here are 5 trends that you can rock without looking out of place IRL. Baseball caps have been in style for sometime but the newest styles have wider brims and larger graphics in front. Brims can also be a different fabric from the main hat. Channel your inner Neo with this lengthened leather jacket look. 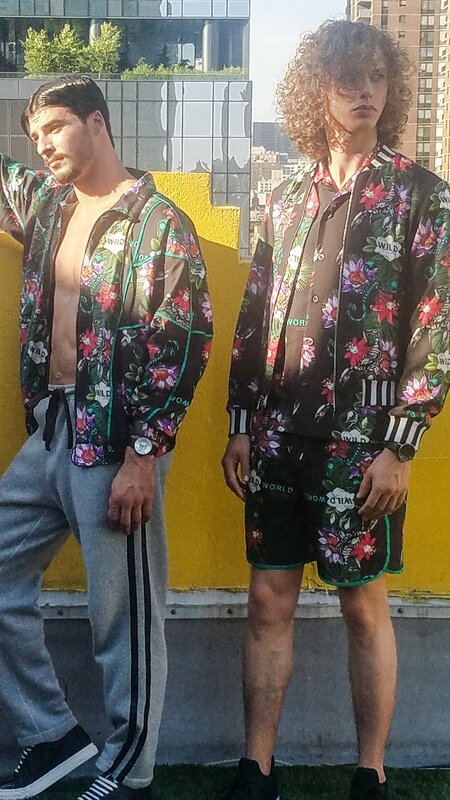 You can trust us it will look cool but not with jogger sets. 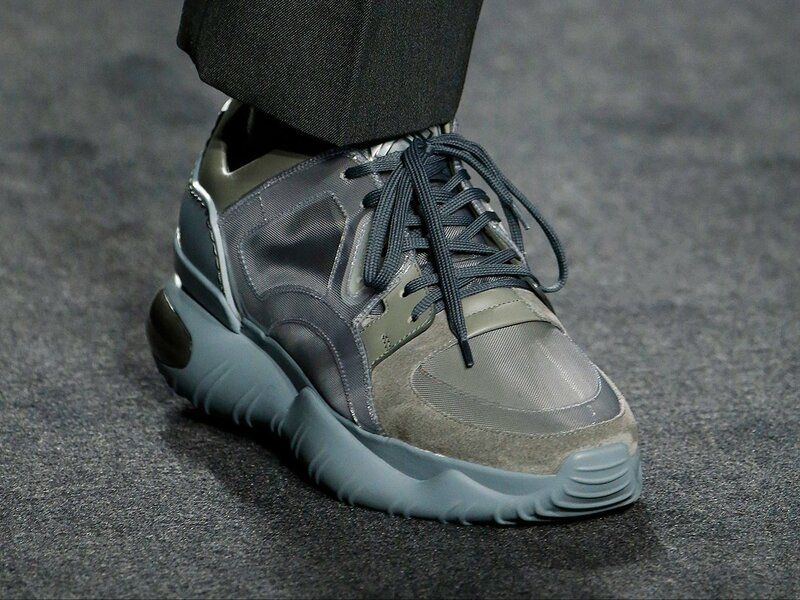 Oversized fugly sneakers are back from the 90’s abyss and we are in love. Pick out the bold colors that are out this fall. 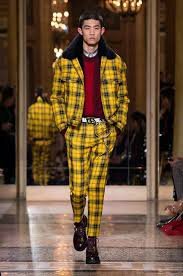 The girls got all the plaids this season but the guys got checkers. 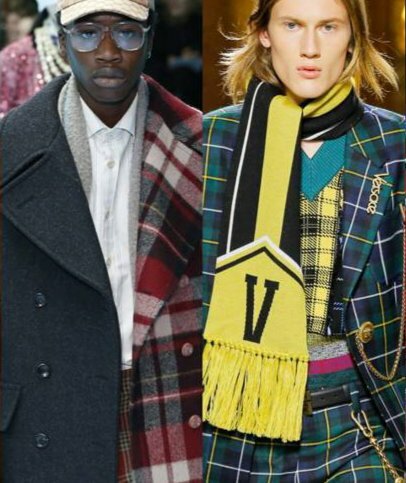 Be daring in checker shirts or coat or more subtle in checker accessories. 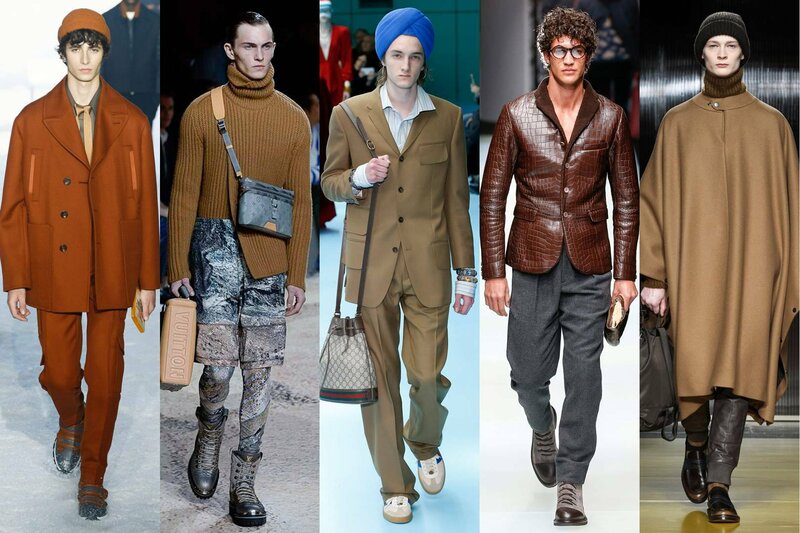 The color brown is having a moment and you should be a part of it. From Caramel to tan and every brown in between this trend is the easiest to add to your everyday rotation. You probably already have it in your closet. These three trends will take you through the entire fall season. Both women and men share this stylish print. The difference is we see it in jackets and not just bottoms. The hues are more lighter here with hints of bright colors like yellow and pastels like lavender. We are not talking full on track suits but these three items can make you look fashionable without dating yourself (especially if you saw clueless when it came out). 1. Anorak – find one with patches for a updated look or neon hues. 2. Bucket hat – another trend that has cross genders, adding a simple one in a neutral hue is best. High top sneakers are back! Look for hues in basic neutrals with color highlights for that 90’s feel. I am so obsessed with sorel right now and so should you. 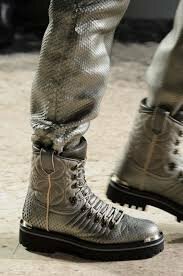 Their hiking boots are extremely stylish but more fund friendly brands include Steve Madden, and Vince Camuto. As always if you try any of these styles #tfgmfw and you could be featured on our instagram. This fall instead of reaching for jeans, try these pant trends instead. Adidas made these popular but other brands have come to love them. Look for patchwork and floral prints for a 2018 update. Bring out your inner rocker with these pants. Here they are paired with a leather jacket but it can also go with a jean jacket. 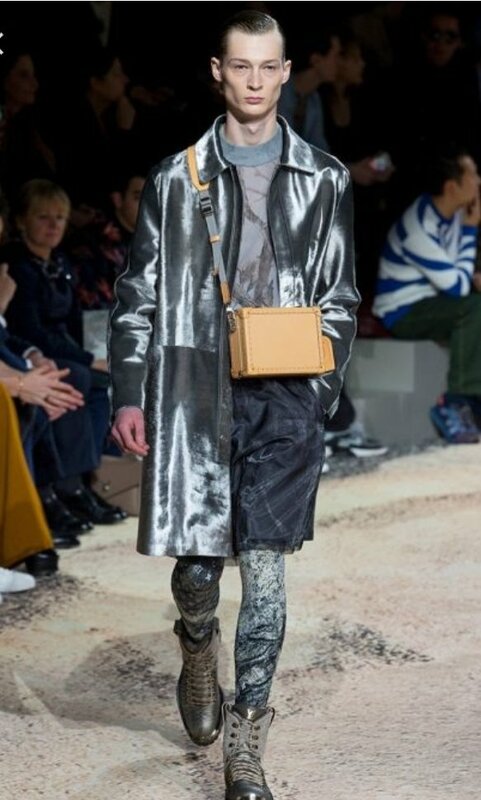 Brands like Louis Vuitton have added leggings to their menswear line and we approve. Pair with shorts and a sweater for a more paired down look. As always if you try any of these looks #tfgmff and you could be featured on our Instagram page. 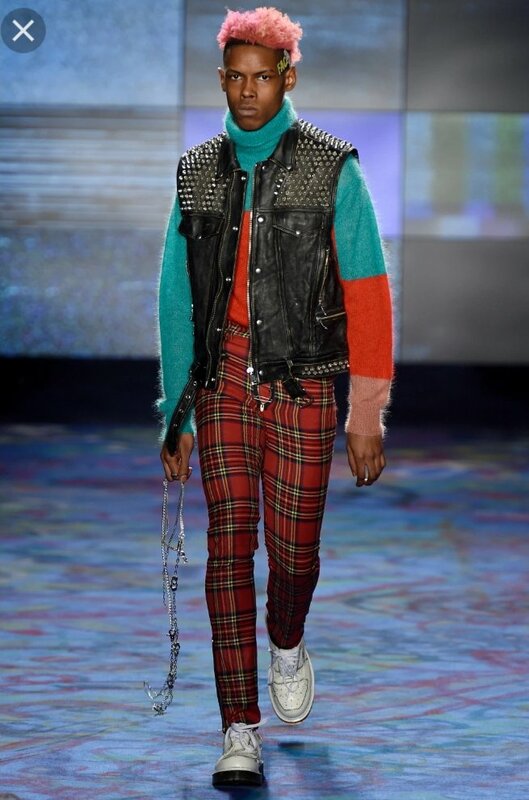 We love runway shows but this presentation was amazing. It wasn’t just the mulitude of sponsors but also the graphics provided by the artists, Sharon Lee and designers Kirk Nelson & Jeffrey Sebelia. The brand collaborates with various artists to fuse fashion and art. This season the prints are created by Sharon Lee who is mostly known for home decor. Her lovely floral prints and animal designs are seen throughout the collection. The brainchildren behind A.I.R. is filmaker turned designer Kirk Woodward Nelson and Season 3 project runway alum, Jeffery Sebelia. The show opens like a standard presentation on the rooftop of 7th house. 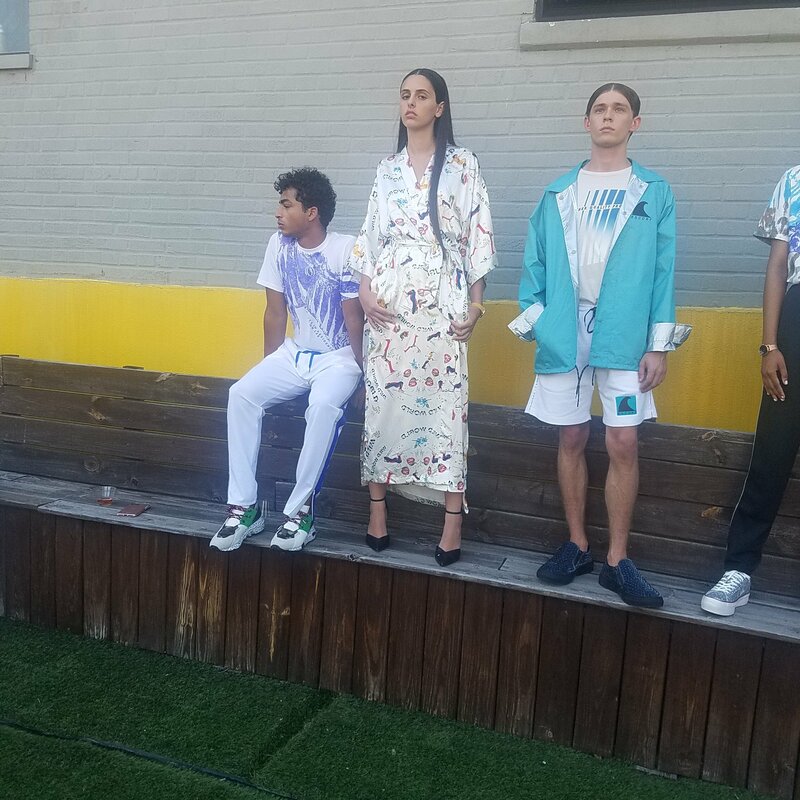 The city provided a lovely backdrop to the collection that focused on street wear styles. The wild prints were the hallmark of this filmmaker and artist turned fashion designer with flowers and comic strip notations creating a whimsy feeling. The artist mostly known for wallpaper and other home goods lends her brush strokes to this white dress and various t-shirts. Watches were provided by Klasse14 provided unique watches that looked like a sundial with beautiful finishes. 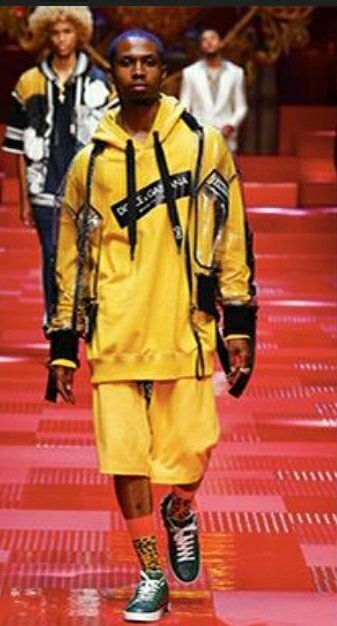 The verdict…great concept to pair with artists every season but ditch the t shirts and stick to the button downs and cargo pants. The women clothes were not memorable besides the dress with the classic Sharon Lee print. Check out our Instagram channel tfgnyc for the video of the event and more images. We love that the somewhat flashy colors of gold, copper and silver have raided spring and summer trends in the UK but how to incorporate the style in America without looking…well…festive is another story. Here are three tips on rocking the trend without looking holiday. In all cases, metallics have a cousin neutral, silver and gray, gold and tan, and even bronze with brown. The metallic part of your outfit is slightly muted but still the focal point. 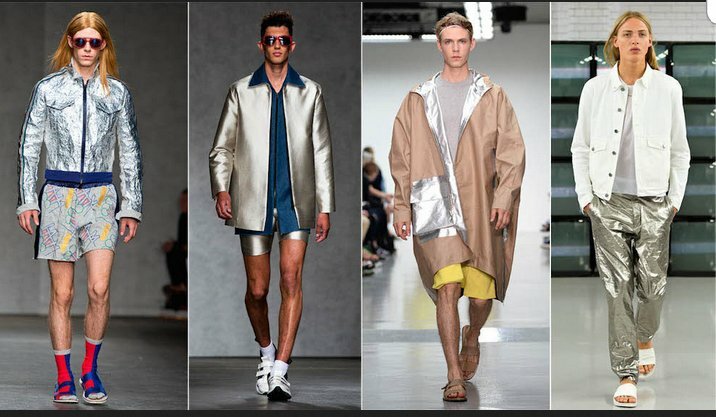 For the guy a little less adventurous, a full metallic jacket or a jacket with metallic features are an easy way to incorporated the trend while having the option to remove it later on. Metallic hotpants may fly in London but not here. Stick to wide leg styles and even shorts if you can find them. You can then leave your shirt untucked. Summer is Here and bows the time to break out and dress for hotter temps. I know you guys wear tees all year around but Summer calls for lighter colors so why not try pastel colors? 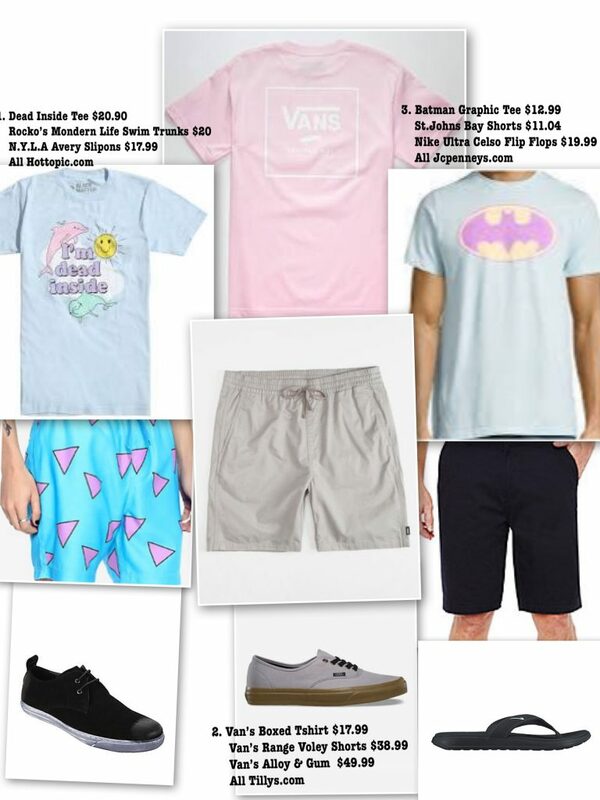 Pastels are a fresh take on the old black and grey tees most guys are stuck on and they can go with those colors anyway.. I will put together three looks that show how pastel graphic tees can be worn..
Summer is finally upon us and as I was walking around New York City one day I noticed more and more men carrying tote bags instead of messenger bags; and I thought it was such a cool idea as us ladies have been carrying tote bags for so long. Tote bags are a great way to help the planet by not needing to carry plastic bags; but also because they are light weight, can carry anything and can be thrown in the wash! Tote bags don’t have to be the free ones with logos thrown on the front but can be structured, zippered, come in nice fabrics and can look really chill slung over a shoulder. You can find them to suit any style. 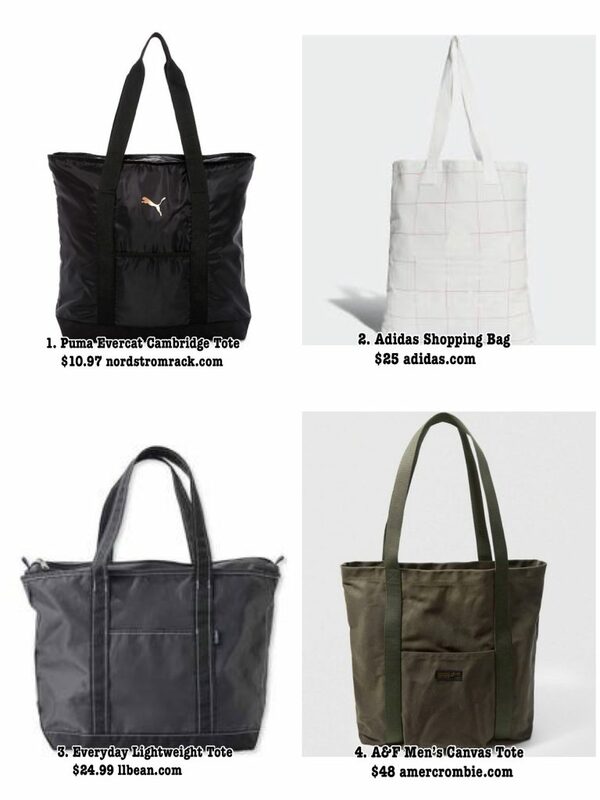 Below I have scoured the internet to find cool totes that won’t break the bank but look more expensive so you can leave the messenger bag at home..and Totes are great all year round..so enjoy! Okay, it is finally hot outside so how does a guy dress in hot weather without taking his shirt off or looking grimy in a sweaty tank top? We lined up three alternative out fits that will keep you cool and attractive. Shorts or pants does not really matter, when it comes down to dressing cool they work well. Unlike jeans, they move and breath. Also, you can dress them up with a light button down or down with a striped tee. 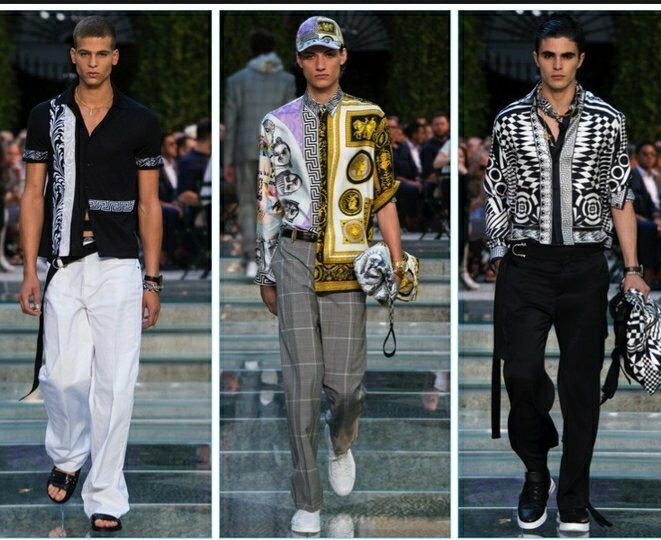 These looks from Versace’s summer made we swoon. Try to recreate this look with baggy pants and a graphic tee. It is not tpo over the top but can say loads about your personality. Forever21 has a great selection of graphic tees while baggy pants can be found at H&M or Urban Oufitter. If the heat really does not bother you or like me, you are always cold, try urban wear staples. A sports jersey could be an alternative to the hoodie.